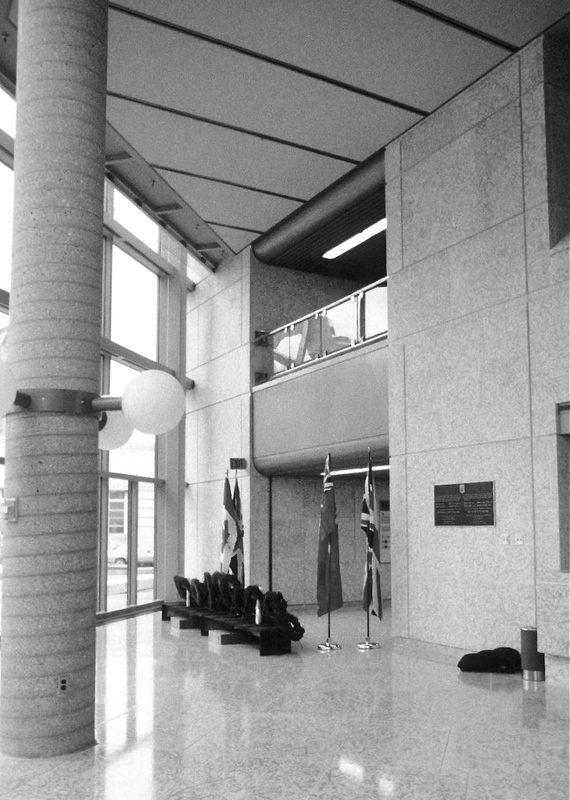 Home to Manitoba's Provincial Law Courts, 408 York Ave opened its doors in April of 1985. 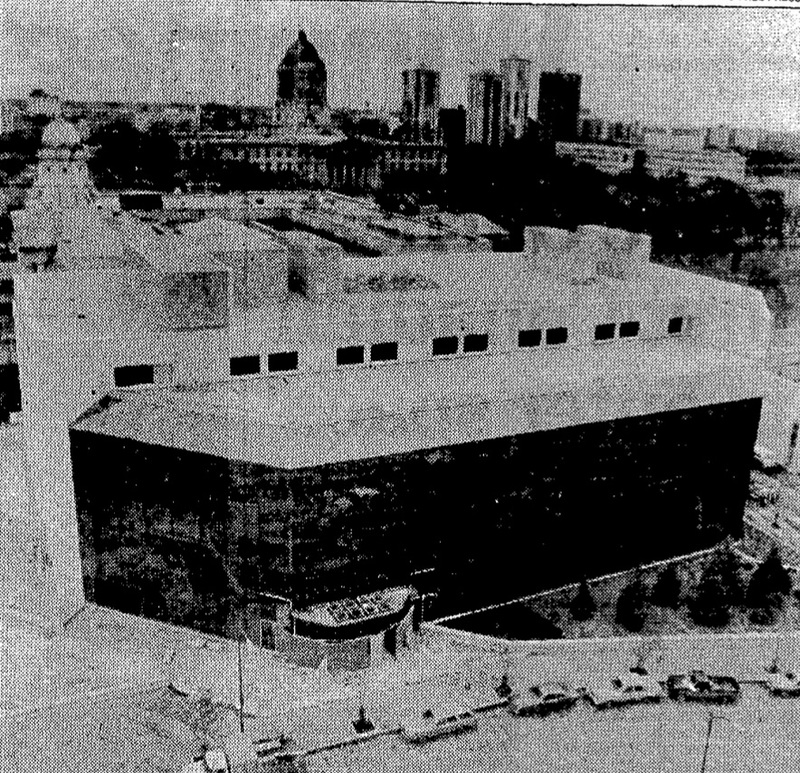 A five-storey, 18,000-square-metre building, the Law Courts structure was erected north of the historic 1912-16 Winnipeg Law Courts (located at 391 Broadway) to which it is connected. Erected at a cost of $16.5 million, the building's design was advised by a group of judges and the attorney general's department. 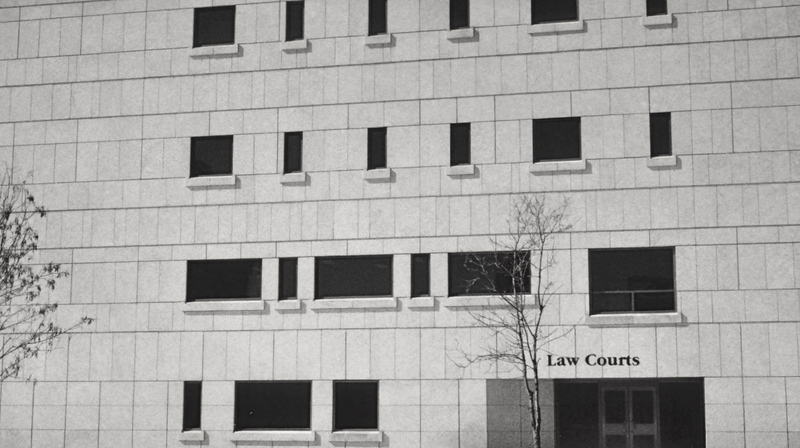 The Provincial Law Courts added a new primary entrance to the courts complex, as well as twenty courtrooms, primarily on the third and fourth floors. 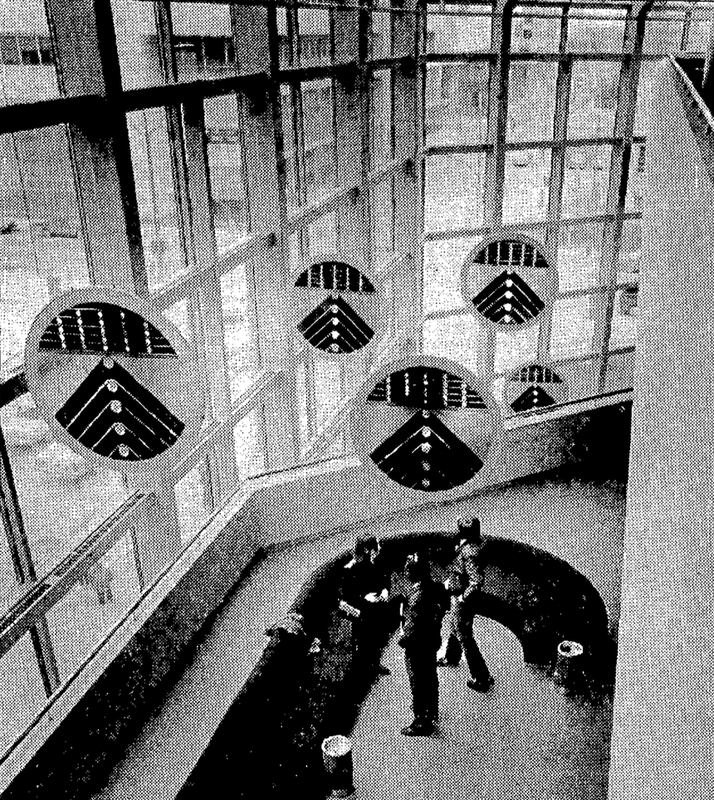 The fifth floor housed new office and library space for thirty judges, while the second floor created space for administrative staff of the Courts of Queen's Bench and Appeal. The Provincial Law Courts was designed to complement the adjacent historic Law Courts. 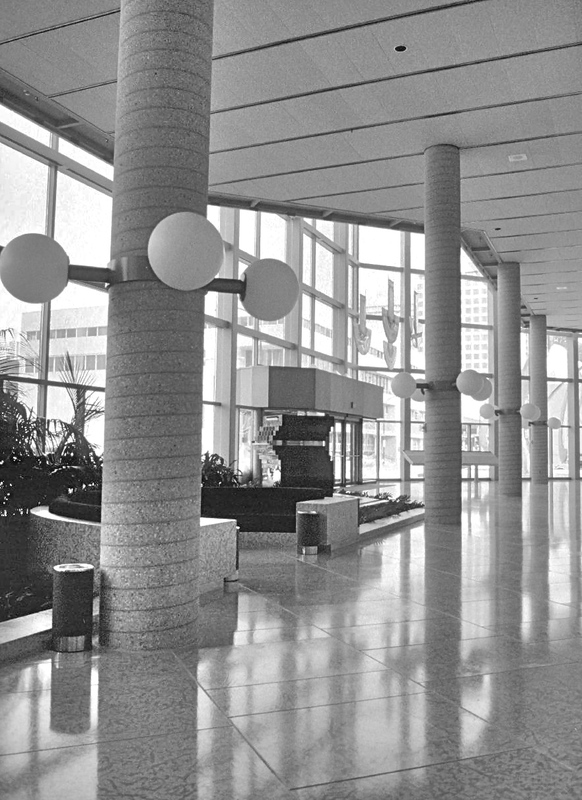 Among the architectural gestures employed to create synchrony is a similar scale and the extensive use, in both structures, of Manitoba Tyndall limestone on interiors and exteriors. Architects from Number 10 Architectural Group undertook steps to prevent the new building from disfiguring the older one, including preserving the facade of the older building. 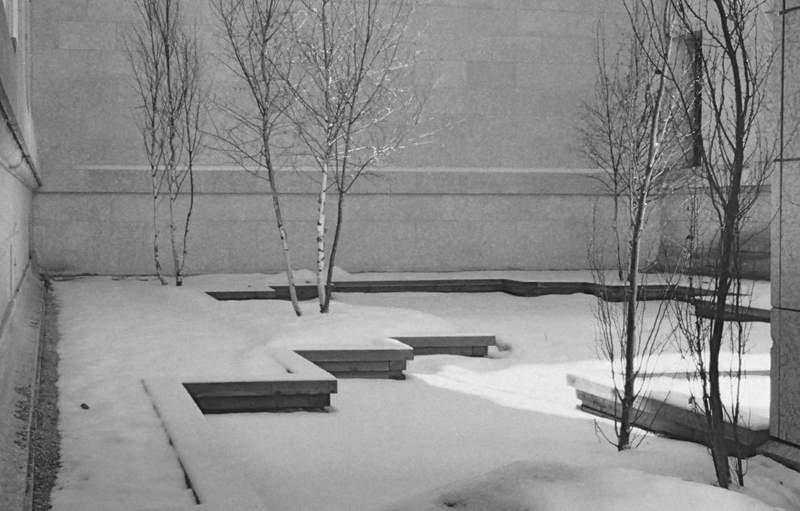 As well, an interior courtyard was created, leaving exposed portions of the 1912-16 structure's north facade. Nevertheless, despite such gestures, the new construction's aesthetic is strikingly different from the older building – defined by flat surfaces of limestone and a projecting atrium sheathed in bronze-tinted glass. 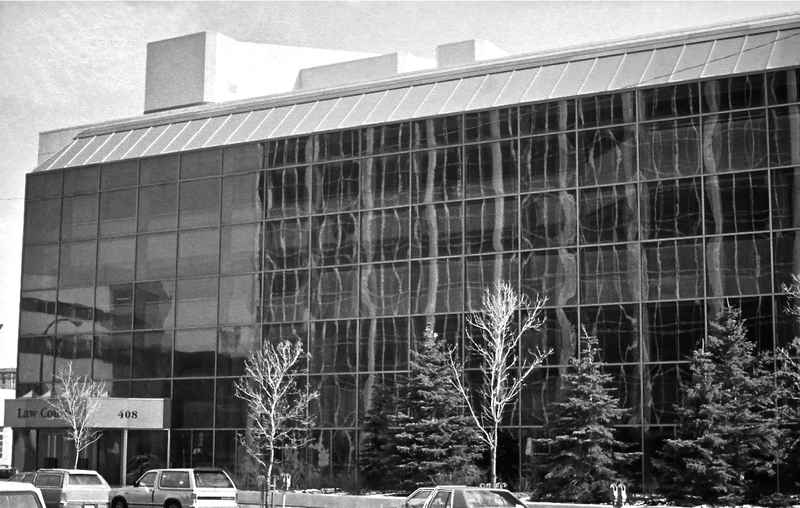 The general arrangement of forms, with a glazed primary elevation featuring an interplay of vertical and angled elements, recalls the much-heralded 1978 design for Edmonton's Citadel Theatre by Toronto architect Barton Myers. 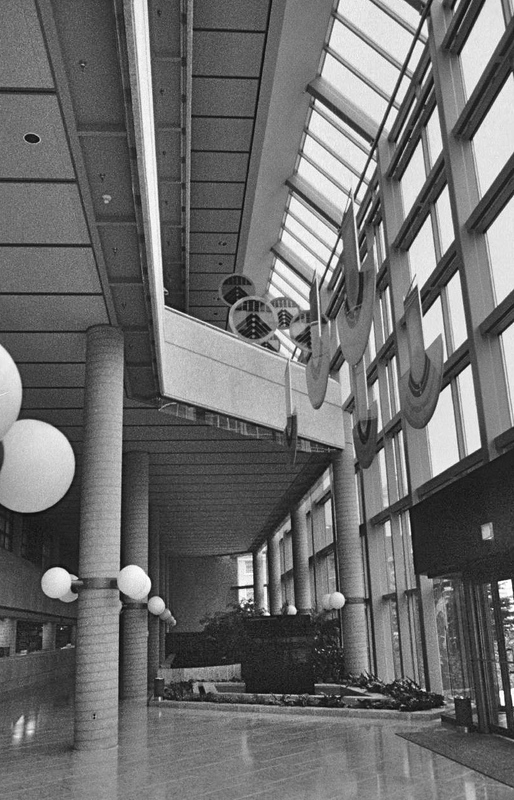 The expansive and bright atrium participates in a broader late 1970s and 80s architectural trend toward such sheltered open spaces within public buildings. The area also allowed greater room for safety and surveillance measures. Indeed, a great focus of the 1985 structure was the improvement of security, a desire which also led to such details the creation of a new vehicle entry for prisoner transport and a new prisoner holding area with a capacity of 240. Prior to this prisoners had to be led throughout the older building's primary circulation areas. The new structure's interior finishes include polished Tyndall limestone flooring, exposed concrete, and brass detailing, all lending a business-like yet dignified aspect. The completion and opening of the new Law Courts set-off the renovation of older court building, which at this time underwent over $9.3 million of interior work. The combined new and renovated complex would house 54 courtrooms, including one appeal courtroom and five jury courtrooms. 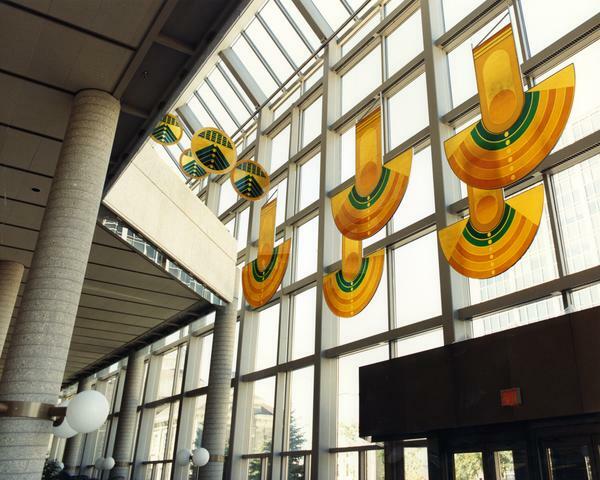 Among the distinguishing features of the 1985 court building is the large quantity of public art. 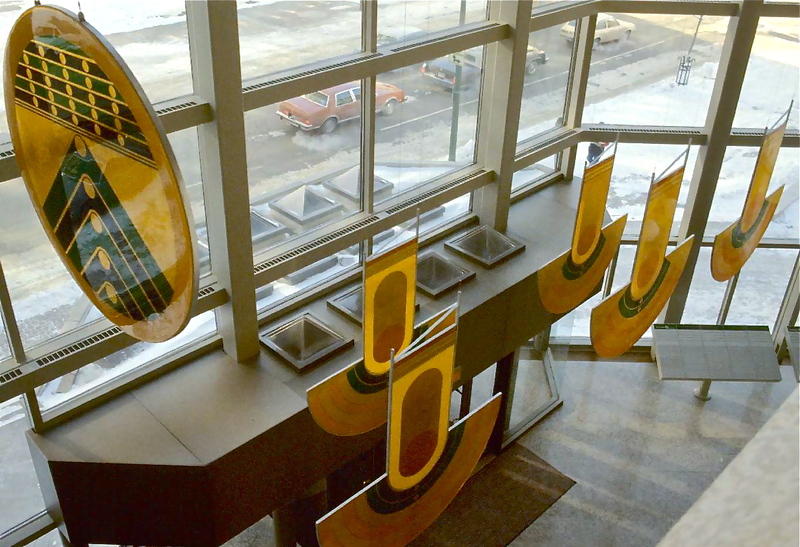 These include: thirteen suspended Tony Tascona discs, which hang dramatically in the north-side lobby; Wayne Brueckner's fountain-artwork "Ecology"; Eva Stubbs cast bronze door handles, which grace the front entrance; Wayne Carther large decorated glass panels (on courtroom doors); and, most prominently, Gordon Reeve's ten-metre tall, 15-tonne Justice, immediately to the north-east of the main doors. At present, local firm 1x1 architecture is involved in work redesigning this building's entryway.